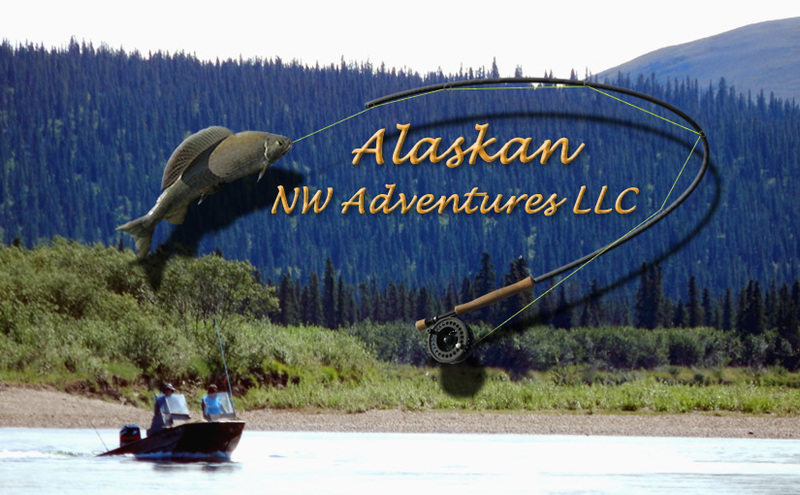 Alaskan NW Adventures is a native-owned fishing and hunting outfitter and fish guide service that has a passion for living off the land and sharing their lifestyle with guests. 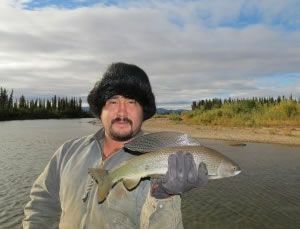 Experience the wildness, Eskimo hospitality and awesome Grayling fishing! 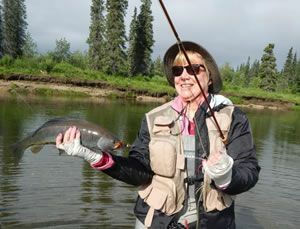 Alaskan NW Adventures is a remote fishing camp in White Mountain, Alaska located in the heart of the Seaward Peninsula. 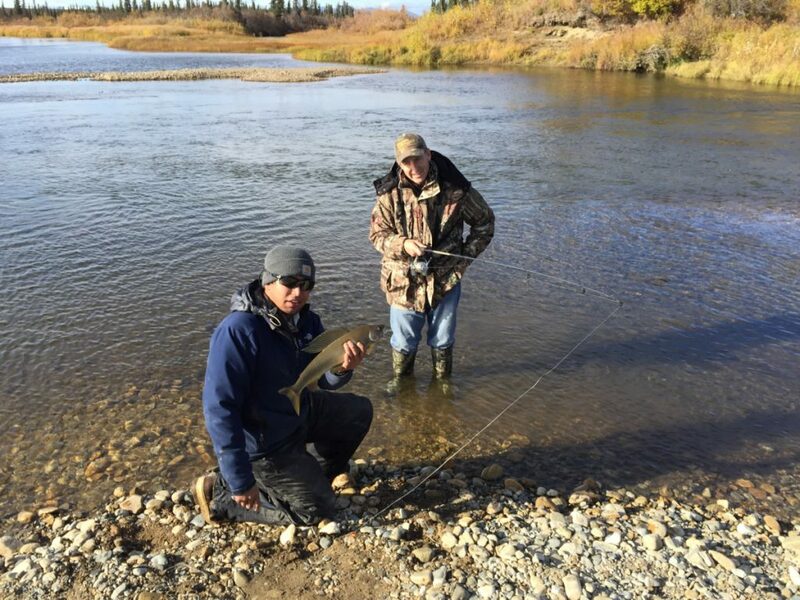 Alaska FISHING packages are available from June and run into September. 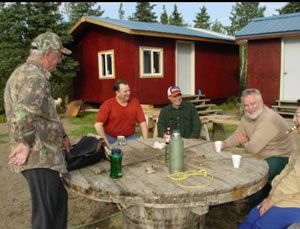 We limit the camp party size to 6 people to give you all a more personalized Alaskan experience. 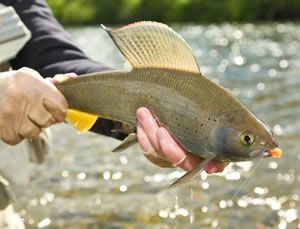 We have Salmon, Grayling, Northern Pike, White Fish and Dolly Varden Trout in the river. 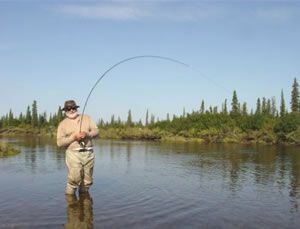 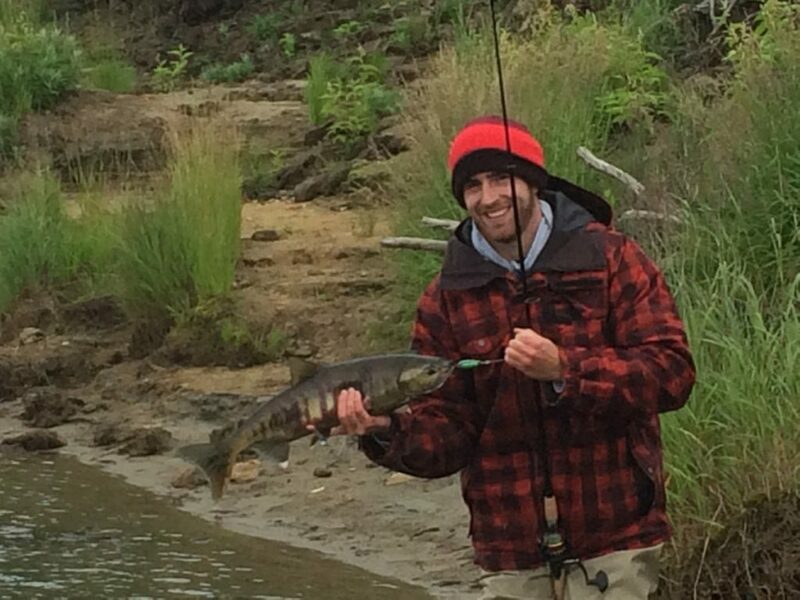 Whether you use spinning or fly fishing gear Tom is talented at both styles. 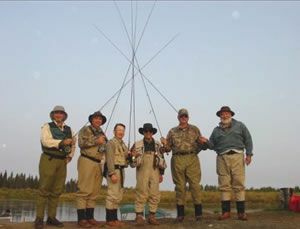 If you’ve never flyfished we can have you catching fish with a fly rod pronto. 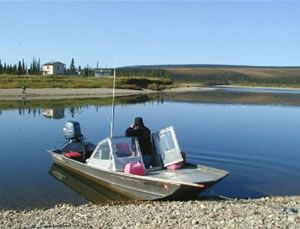 We run jet boats that will pass through water only inches deep. 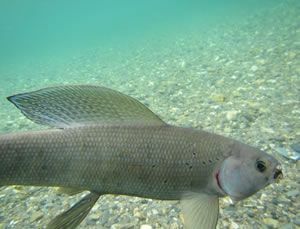 Running the river can be an adventure in itself with us as some places are very shallow. 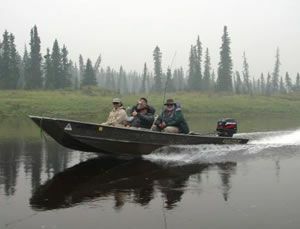 The rivers are clear and you can see all the fish as we run with the boat. 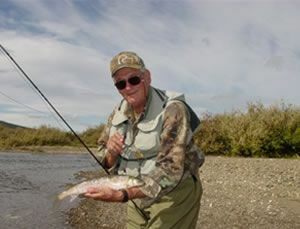 Being raised on our rivers Tom knows where to go to catch fish. 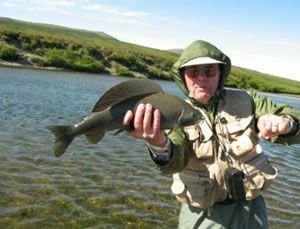 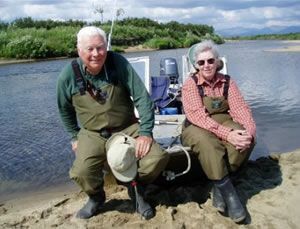 A good fishing guide like Tom can help you find the trophy fishing you want along with the experience of Alaskan Hospitality at its best. 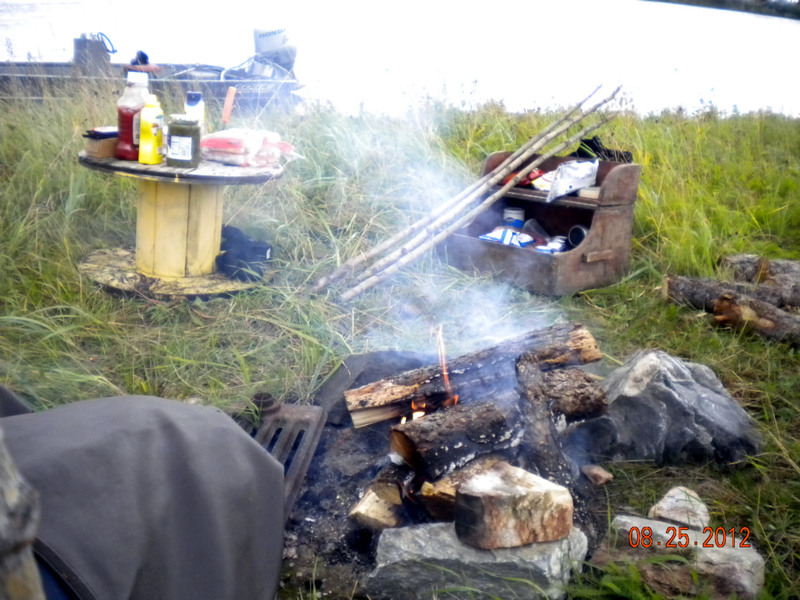 BJ will keep you fortified with super home cooked meals. 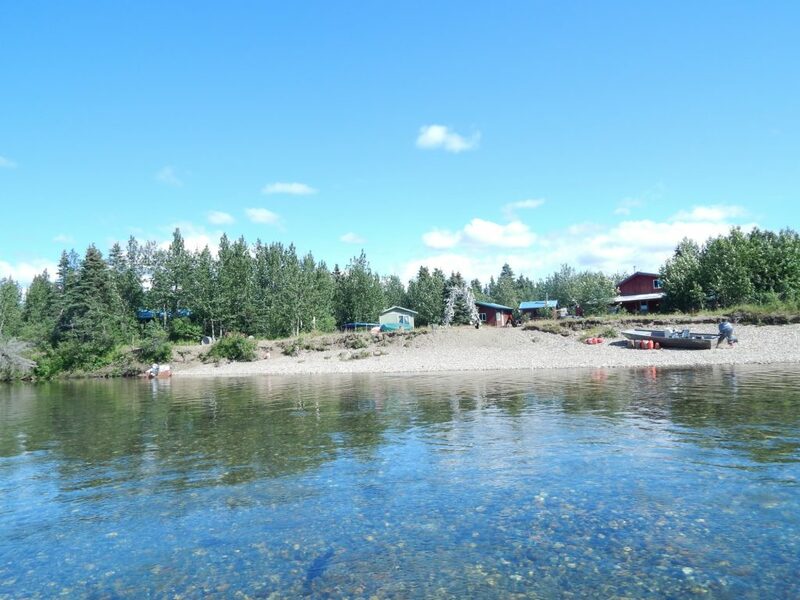 We may be remote but we have a hot shower and flush toilet in camp.